It is a common question about English rules and usage: who vs. whom. When do you use whom and who? Mary is the object of Joe’s affection. 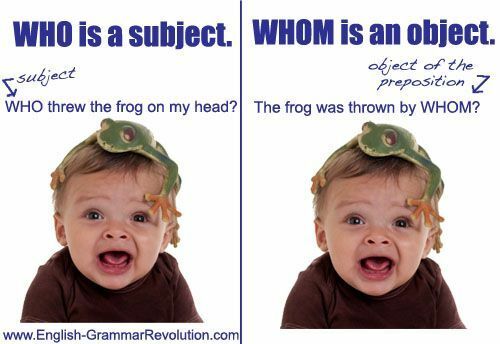 We can use ‘whom’ as the object of a verb, but it is very formal and not often used in spoken English. Formal English: Whom did you see? Informal English: Who did you see? Sally gave her doll to who? 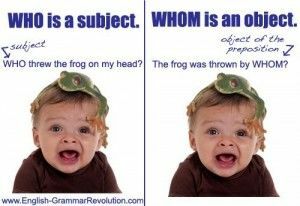 Understanding the context in which either word is used can help distinguish where you use who vs. whom.